Home Family Travel Planning Help is Here! Family Travel Planning Help is Here! Here is an overview of the different sections of the Family Travel Planning portion of our site to help in planning your family’s travels. You can also search for specific topics or keywords by clicking the search icon on the top menu bar. Destinations – Where to go, what to do, what to know, where to stay! Important family travel tips for key destinations, hotel and vacation rental reviews, recommended activities for travelers with young children, insider tips from local moms in the know, cultural tips for families and more. Now includes destination guides from our sister site Family Travel 411 for easy reference, too. 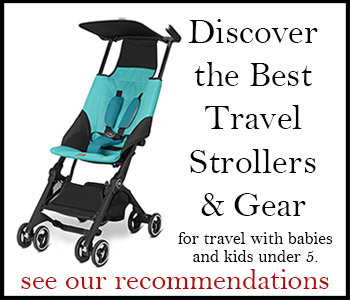 Know your rights when flying with a car seat, find out how to bring aboard baby food for your flight, decide what to do with the car seat at the airport, and get tips for keeping toddlers entertained at the airport and on the plane. Do you need a car seat in the taxi? Looking for an airport shuttle in New York or Paris that provides car seats or boosters? What can you do if your car seat doesn’t fit in the airplane seat? Will your 11-year-old need a booster seat in… Costa Rica? Need to find a pre-screened babysitter or nanny to help during your family vacation or business trip? Use our directory of agencies offering pre-screened temporary nannies and sitters for event sitting or traveling families.